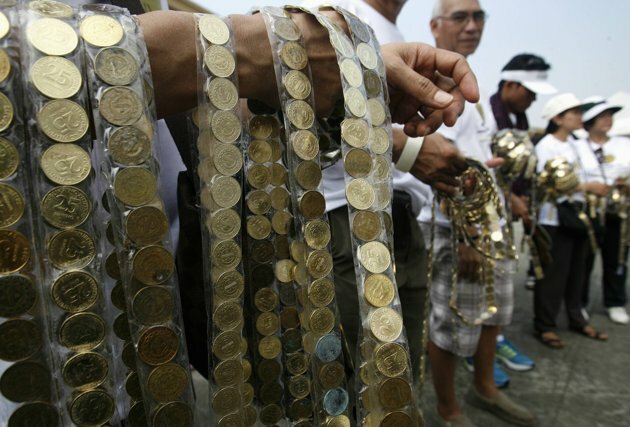 Philippine civic groups and charities lined up almost 73 kilometres (45 miles) of coins on Wednesday in a bid to set a new Guinness World Record and build schools for the poor. 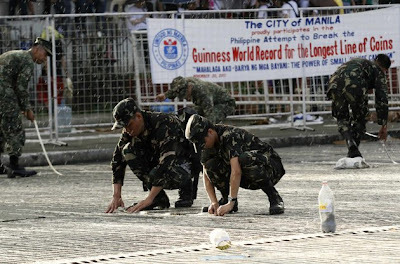 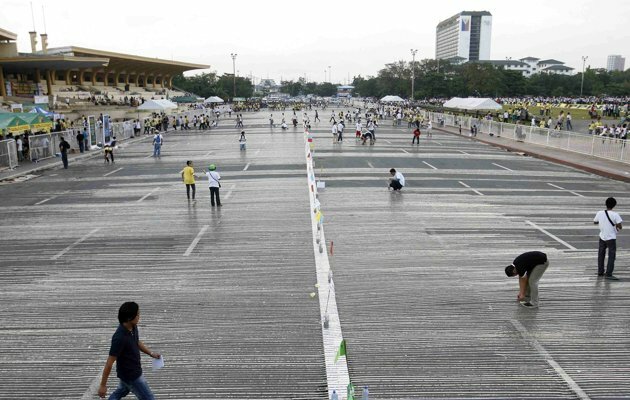 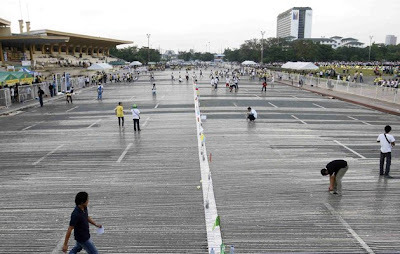 Volunteers lay down sets of 25-centavo coins in an attempt to break the Guinness World Record on the longest line of coins, now held by the United States at 64.8 km (39 miles), at the Quirino Grandstand in Manila November 30, 2011. 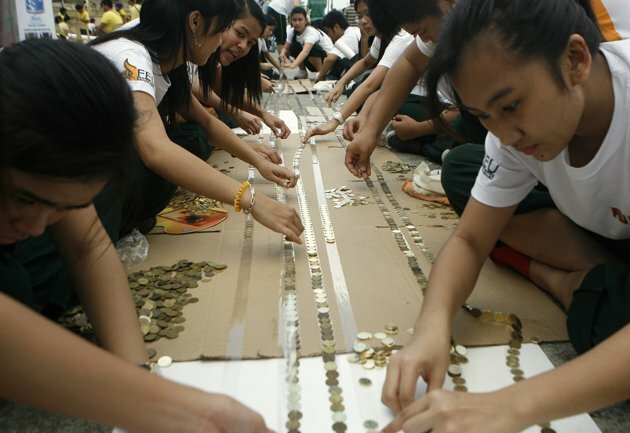 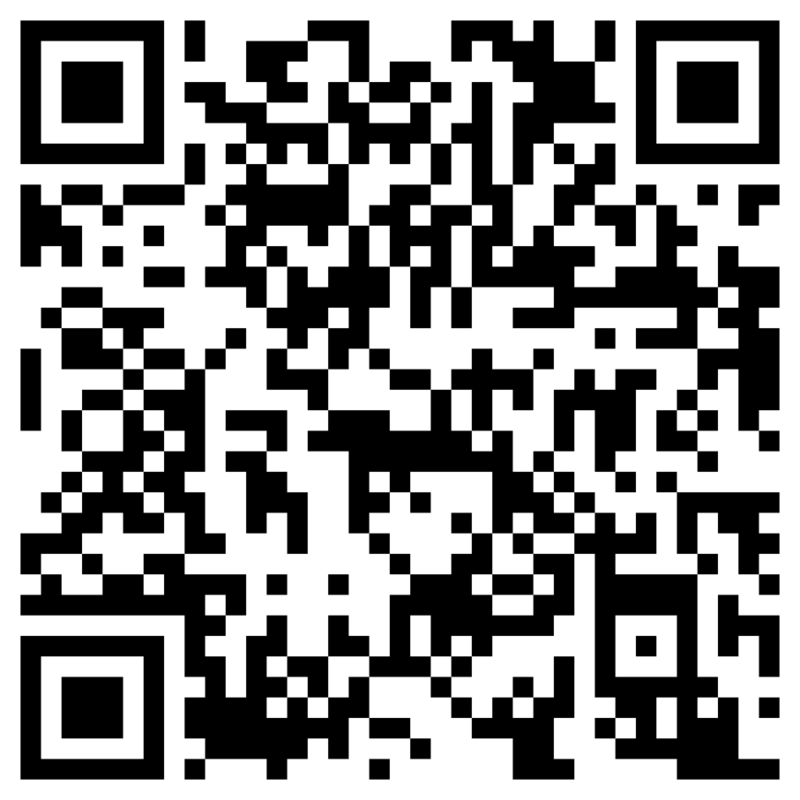 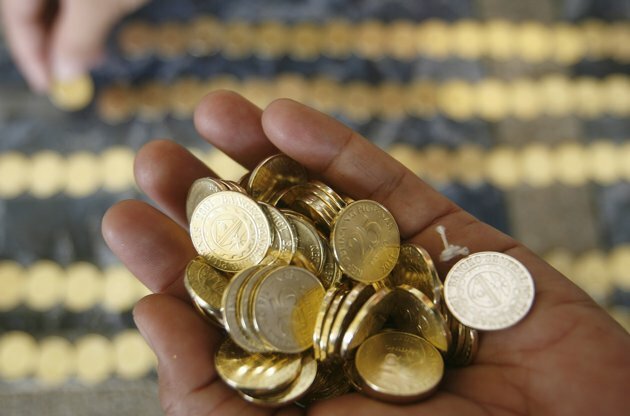 Some 3.5 million pieces of 25-centavo coins were collected to complete a record breaking 70km (43 miles).